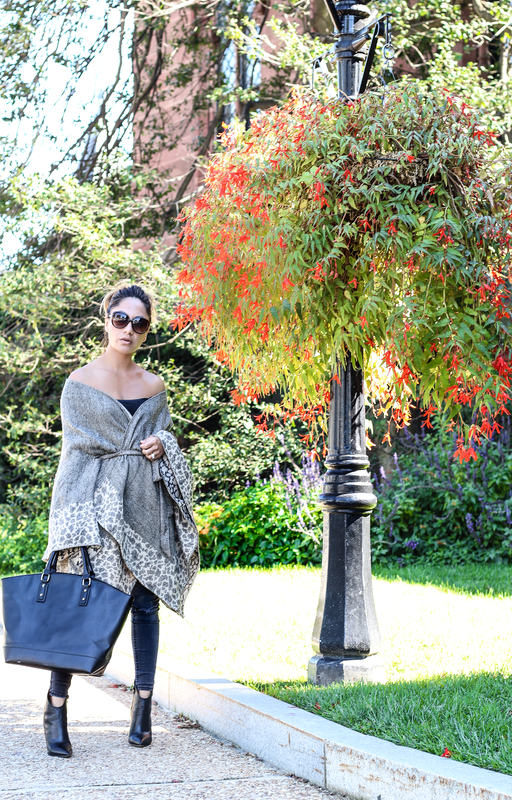 The fall season is here and I want to share with you a must have fall garment. This cozy- chic poncho is just what your fall wardrobe needs. You can create endless outfit combination, as you can find that ponchos come in various patterns and styles. For instance, this Apt.9 belted ruana poncho with leopard - printed trim tie-on belt can easily be worn with skinny jeans and a pair of ankle boots or over the knee boots. And just like that you have a comfortable daytime look. thank you Loves for stopping by ! I absolutely love ponchos. I just ordered one from RomWe and I can’t wait to get it for my trip to Vegas. They’re just so fun to play with and so comfortable to wear! Obsessed with this look!! Perfect for fall. 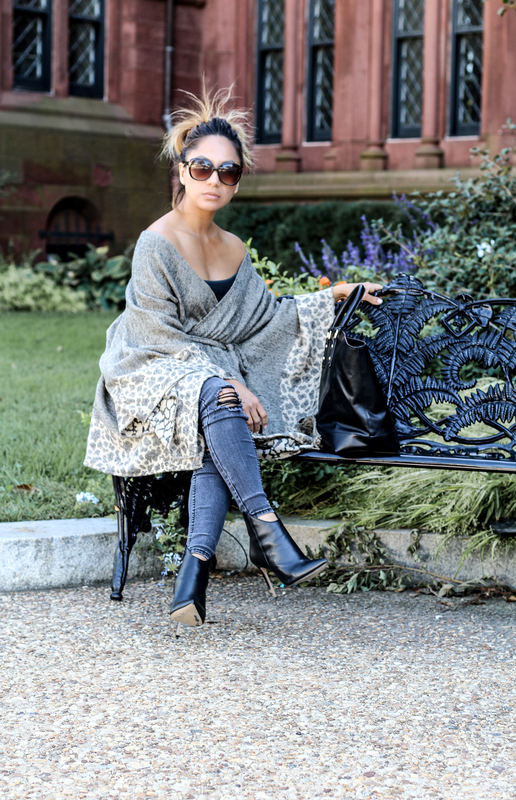 This oversized poncho looks sooooo chic on you!! Gorgeous! very unique and fab poncho!! love it! The poncho looks even better on you than the model! The way you styled it over the shoulder is perfect! Such a fan of the poncho. Great look. I love them for the fall. Your style is absolutely flawless! Love that poncho!